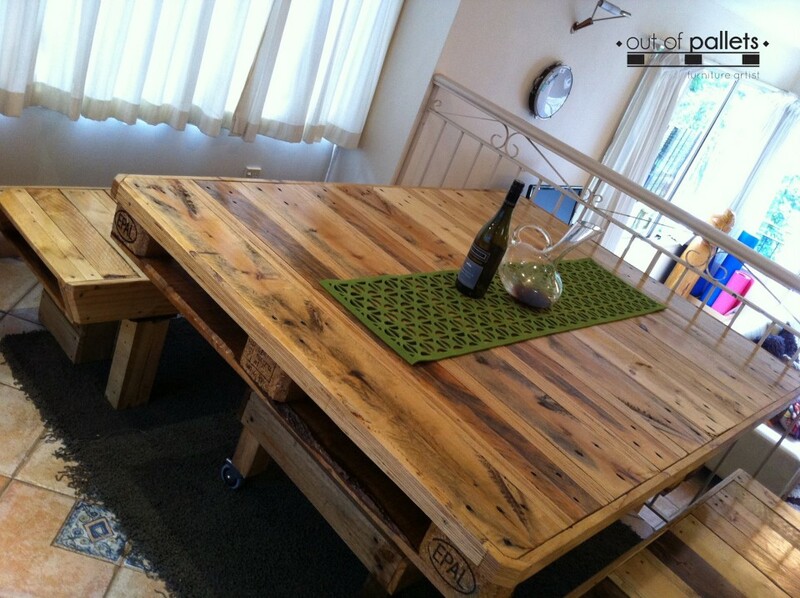 It has been a while, but excited to make a come-back sharing this pallets made funky rustic dining set. 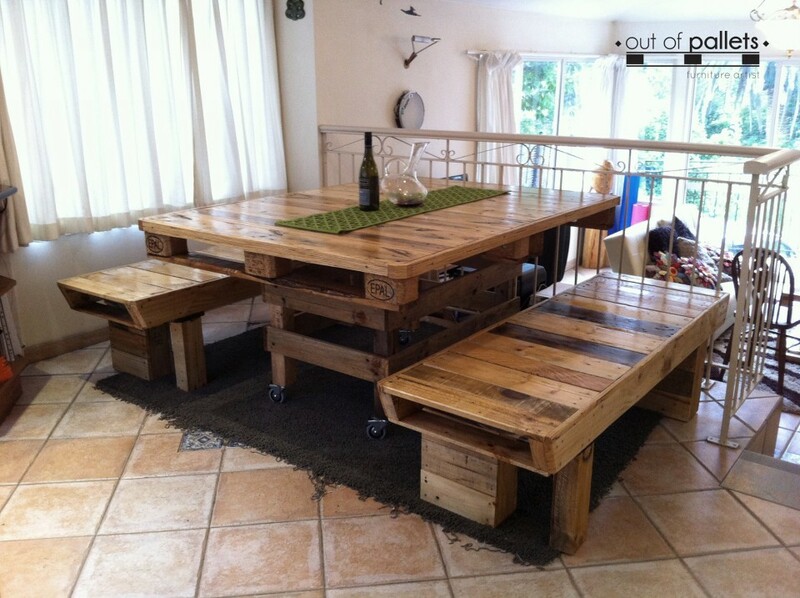 The solution: Pallets made funky rustic dining set with benches. The industrial looking base on wheels makes it easy to move it around, and the benches can sit up to 3 diners each. 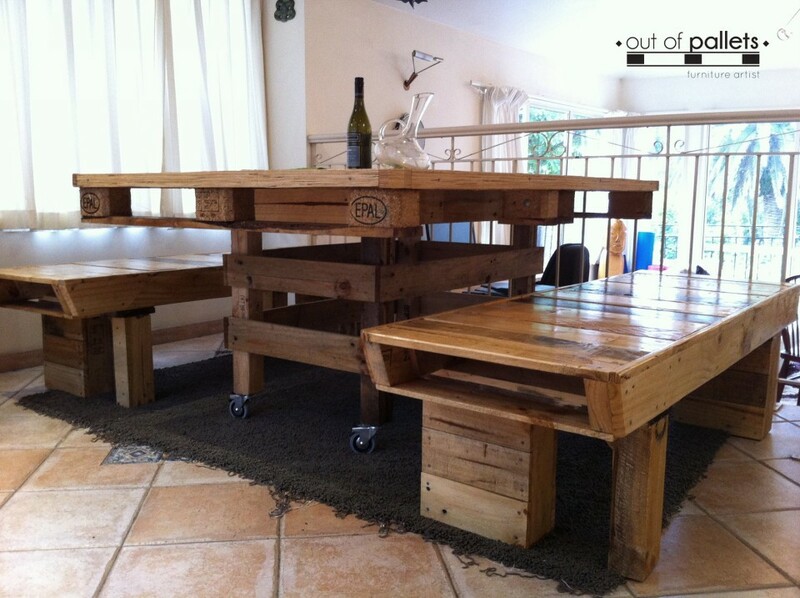 The pallets dining table can accommodate 2 chairs at each end if needed, so anything from 4 up to 10 guests can dine comfortably.